So I didn't really sketch this outfit, but I did sketch ON this outfit, so I say that counts. 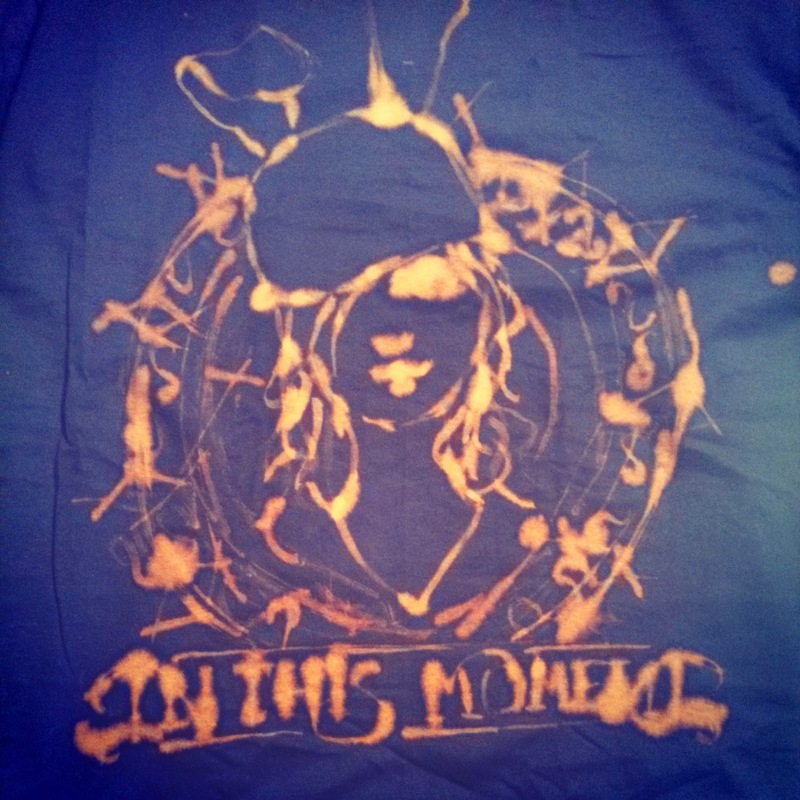 And I used bleach (1 part bleach, 1 part water) to paint it on a plain black shirt. 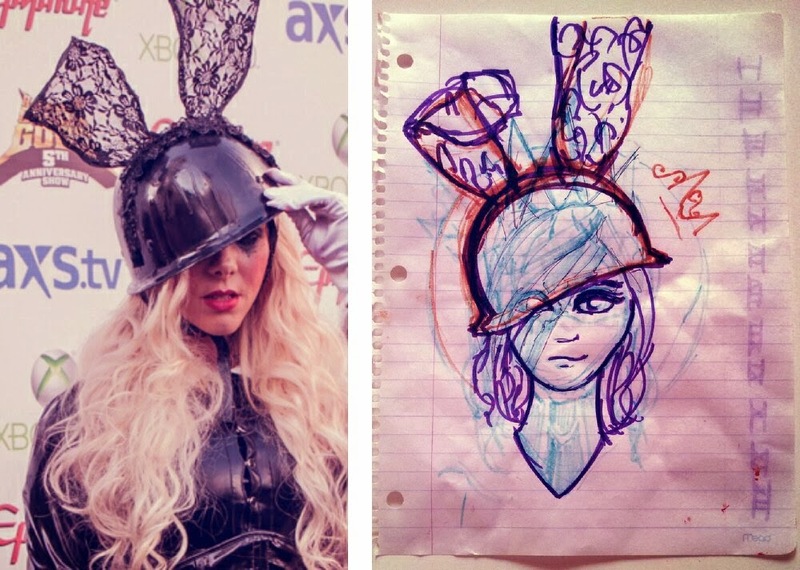 If you're gonna do this, make sure to use a paint brush you don't care about. By the time I was done painting, all that was left of the brush was the handle. It's not the most elegant way to modify a shirt, but I think it has its own grungy charm. 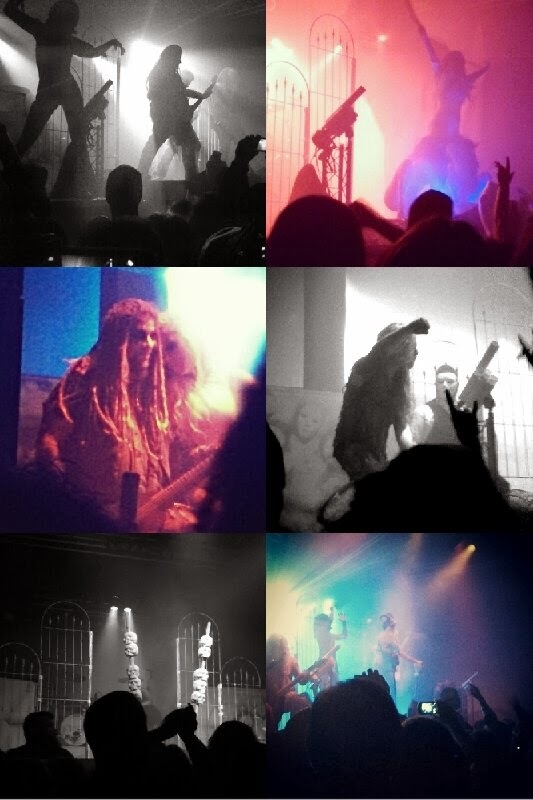 The concert I went to was Hellpop, with All Hail the Yeti, Kyng, Motionless in White, and In This Moment. I had been thinking about getting the tickets since I saw In This Moment earlier this year, and I'm glad I finally caved. The venue was smaller, and I was able to get much closer to the stage. They put on such a great show. Also, their set was WAY longer than Carnival of Madness, so they got to play lots of great songs, including my favorite.